I really try to stay away from blogging about celebrities and the stories surrounding their infidelity and love triangles and love children, but this particular story with Kehlani, PartyNextDoor and Kyrie Irving has caused some reactions from the public that has left me speechless, well, not exactly speechless, but in disgust. 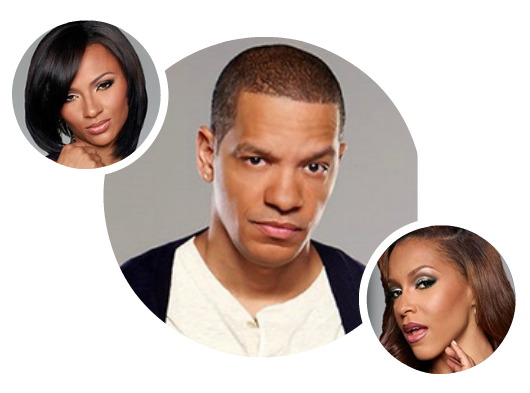 (That and Peter Gunz the Love and Hip Hop Reunion) I still do not know the complete story because there are so many allegations floating around, but there are a couple things that I'd like to address following somethings I've seen via social networking sites. People love to cast stones forgetting that they themselves live in a glass house. First let's talk about this reoccurring double standard on cheating and it's "severity" depending on gender. I've heard too many guys say that a woman cheating is worse than a man cheating, and they believe this with all of their hearts that, that is a universal truth. It seems to me that guys have really convinced themselves that it is okay for them to hold onto their baggage but women must leave all baggage behind when boarding a new relationship, not realizing how heavy their own baggage is. Scorned men everywhere had a field day with the news or "allegations" that Kehlani this beautiful R&B singer who has probably sung about heartbreak and getting cheated on, cheated on her boyfriend; an athlete with a 90 million dollar contract. Not their beloved Kyrie Irving. !? Because if she'll cheat on him with this 90 million dollar contract then women everywhere are bound to cheat on their boyfriends because they definitely do not have that type of money right ? So that means"women aint "and we should let them have their moment to crucify this woman right ? Negative. Y'all are dead wrong. Some guys seemed more hurt than he did the way they took to social media and bullied and name called the poor girl to the point of her attempting suicide and trying to remove her presence on Instagram. The determination of the public to have their insults seen was heartbreaking. They were all so quick to call Kehlani a cheater and talk about how terrible she was, and I couldn't help but wonder how many of those same men and women have cheated on someone they were(or are) in a relationship with ? The savagery was released and all I saw was a bunch of hurt men, who had their emotions bottled up from whatever heartbreak they had experienced, and instead of learning and forgiving for themselves, they held these grudges and now have a vendetta to make any woman they come across either feel as terrible as they did when they were cheated on, or make an example of any woman who was exposed as a cheater, true or not. Because when women cheat it's always worse than we men cheat right ? Because it's premeditated and we're devils out to break the heart of any man who opens his heart to us right ? Now guys are going to use this as a further justification for trust issues and savagery, because when one of them gets their heart broken, they all do right ? Wrong is wrong. I really need for guys to stop trying to biologically justify cheating and stop trying to give reasons for why women cheating is more severe than a man cheating. Guys are so quick to sympathize with the likes of Chris Brown and Peter Gunz and Future & dog a girl out, even if that guy is wrong and gives the most unbelievably ridiculous excuse or reason for cheating. Wrong is wrong Guys didn't feel as strongly about Peter Gunz and his love triangle or when Future cheated on Ciara as they do with Kehlani and Kyrie. Again, wrong is wrong. That's like saying it's worse for a white person to kill a black than a black to kill a white person. People are so quick to be someone's lawyer and they don't know the whole case. Instead of being so quick to jump to someone's defense and be their lawyer or pass judgement on someone we need to remove the filter that we see situation through, whether it be gender, race, ethnicity, or status, and see the situation for what is it. I'm not saying she's right if she did indeed cheat, I'm saying no one that has contributed to this girl's grief knows her or is a saint to judge her. At the end of the day, we live in our own world and when we step outside those worlds collide in the public sphere. A lot of people forget that celebrities are human and they hurt too. Words hurt them and there are instances where they can see the vicious comments the public leaves on their social networking sites. To see that some people are saying that she might have tried to commit suicide for attention is so sad because had she been successful in her attempt, what attention would she be getting ? It's even sadder that comments like these are coming from the black community. In the black community there's a taboo that black people don't commit suicides because it is a sign of weakness, and when a member of our community attempts or does commit suicide instead of seeing it as a cry for help, they are ridiculed and it is seen as a sign of weakness. Suicide affects everyone. Who are you to put a color on crime. Rich, poor, black, white, man, woman, children, old, young, it doesn't matter. Suicide is a person's finally cry when they feel they've had more than they can take and their back is against the wall and they have no one. No one should ever have to feel that way or be ridiculed if they do. People don't know or understand the power of their words, celebrity or not they're human and the way this situation went in the direction that it did is saddening and prayers go out to Kehlani.